Recently, Congressman Matt Gaetz filed a bill to kill the EPA. Can we assume Gaetz has carefully analyzed every program and expenditure at the EPA before arriving at this sweeping measure? Has he meticulously documented ways the EPA has harmed, versus improved, the Panhandle population? But maybe there’s some other consideration feeding this sudden interest. Something more akin to politics than policy? The EPA isn’t going anywhere, of course. Gaetz knows that. You know it. He’s certainly made people angry, though. Angry enough to show up at conveniently scheduled Town Hall meetings and shout at him in public. In front of what will surely be a wall of conveniently placed cameras and Pensacola News Journal stenographers. While he sits at the front of the room in a tidy suit and tie. Looking very rational and competent in comparison to what, I guarantee he’s hoping and praying will be a rag tag collection of emotional “libtards” the media will paint as ranting and raving dirty hippies, crazy old farts, feminists and other conservative bogeymen. Especially if they bring up “science” or any kind of water animal that might translate to a “Save the Whales” headline. Won’t that video footage be helpful come election time! Maybe they’ll play it on the Five! Or O’Reilly! Please people, if you care about the environment at all – don’t feed the troll. Skip Gaetz’ obvious self-promotion meetings. Don’t chastise him in public. He knows about science. He knows about polluted water. We all do. This is not about those things. This is about his re-election chances. Gaetz’ problem, you see, is that lots of local conservatives dislike him too. He won this last election with only 31% of a seven-candidate Republican “jungle primary” field. There won’t be nearly as many candidates next time. Mr. Gaetz will be closely scrutinized. Videotape of you berating him about science and other issues that may raise local conservative hackles in his favor would be a wonderful campaigning gift. He’s setting you up as his straight man. Your carefully researched comments, heartfelt letters and local environmental history lessons are totally irrelevant to this situation, except to further Mr. Gaetz’ political career. 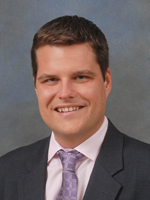 Do you really want to help Matt Gaetz slither his way into the national spotlight? Mark my words – if you show up at his events and engage with him on the defensive he’s deliberately placed you, you will aid his cause, not yours. Haven’t you noticed he’s begging people to come disagree with him in public? You are being manipulated by an elected official with so little substance to offer, he must resort to grandstanding for attention. And you, dear concerned citizen, are the stand. Maybe it’s less work to go that route instead of taking time to understand complicated issues and file serious bills…like he was ostensibly elected to do. If you really want to assuage your anger over this, imagine what would happen if Gaetz held a riot and nobody came. Or, better yet, if environmentally concerned citizens he’s insulted decide to switch voter registrations to Republican right before the 2018 primary. Ballot box revenge – gee, that’d sure be a “no talk, all action” way to really show displeasure with this sad excuse for representative lawmaking. And something tells me environmentally conscious switcheroo RINOs wouldn’t be the only Republicans thinking the same thing. You may be right that opposition from environmentalists could help him in that opposition is raucous and strident. But I cannot simply stand by as he tries to abolish the EPA. Screaming at him will not help. But reasoned and reasonable objections to his bill to turn back the clock to the time before the EPA can only be a good thing. What else can a person do? Silence in the face of evil is evil itself. I don’t think anyone is denying that the EPA has done some good. But it may have reached the point where it does as much bad as good. The major issue with the EPA is that it can create law which is beyond the scope of an agency’s power. Therein lies the problem.